Rockstadt Extreme Fest 2016 will take place in Rasnov, Romania on August 11-14, 2016. 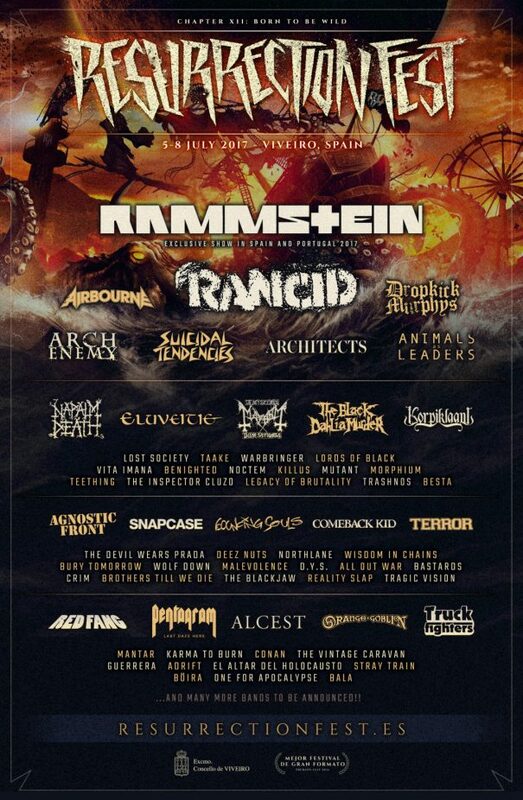 My Dying Bride, Borknagar and Misfits are among the bands that will perform at Rockstadt Extreme Fest 2016. Neurotic Deathfest will take place at 013 in Tilburg, The Netherlands on April 17-19, 2015. Bloodbath, Immolation and Disavowed are among the bands that will perform at the Neurotic Deathfest 2015 festival. Obscene Extreme will take place Trutnov Battlefield, Czech Republic on July 03-07, 2013. Napalm Death, Cryptopsy and Krisiun are among the bands that will perform at the Obscene Extreme 2013 festival. Napalm Death, Behemoth and Moonspell are among the bands that will perform at the Caos Emergente Metal Festival in Porto, Portugal on September 11-13, 2009. Holocausto Canibal will headline the Barreiro Metal Fest, held in Barreiro, Portugal on May 8-9, 2009.